The free exchange of ideas is what makes ours a vibrant community, and we will continue to protect that right. At the same time, we are equally committed to the safety of our campus community. As we start a new school year and welcome students, faculty and staff to our campus, we would like to take a moment to remind everyone of a few critical policies and state laws governing free speech. 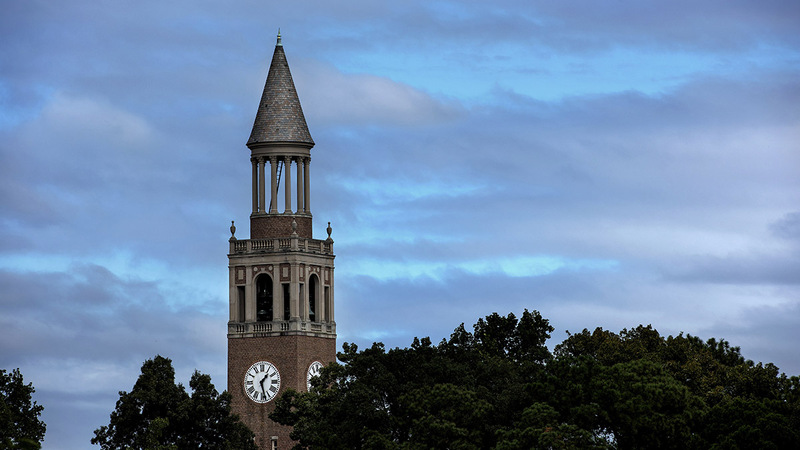 Carolina is a public university, and we have a long tradition of protecting free speech. The free exchange of ideas is what makes ours a vibrant community, and we will continue to protect that right. At the same time, we are equally committed to the safety of our campus community. We must uphold the First Amendment of the U.S. Constitution as a public institution, in addition to the General Assembly’s North Carolina Restore and Preserve Free Speech Act and a Board of Governors policy on free speech and free expression in the UNC System, both enacted in 2017. At Carolina, like all public universities, you will have the opportunity to hear from a wide range of speakers expressing many different viewpoints. Speakers may be invited by a school, department, or student organization, among others on our campus. The University, under certain conditions, rents some University facilities to speakers for their events. Public speech is also allowed in designated outside areas as long as the speech is not disruptive to the operation of the University. Under the First Amendment, we cannot prohibit a person from speaking on campus because the University community does not agree with what that person has to say or because the speech is offensive to most people. However, it is critical that the campus community understands that complying with the law does not mean the University – in any way – endorses such speech. Just as the University cannot refuse access based on the content of someone’s speech, the University must protect the safety of the speaker and attendees regardless of content. However, when speech crosses into incitement to riot or other violent acts, the law permits the University to take immediate action to enforce security, such as dispersing and managing crowds. We look forward to a safe school year for everyone.